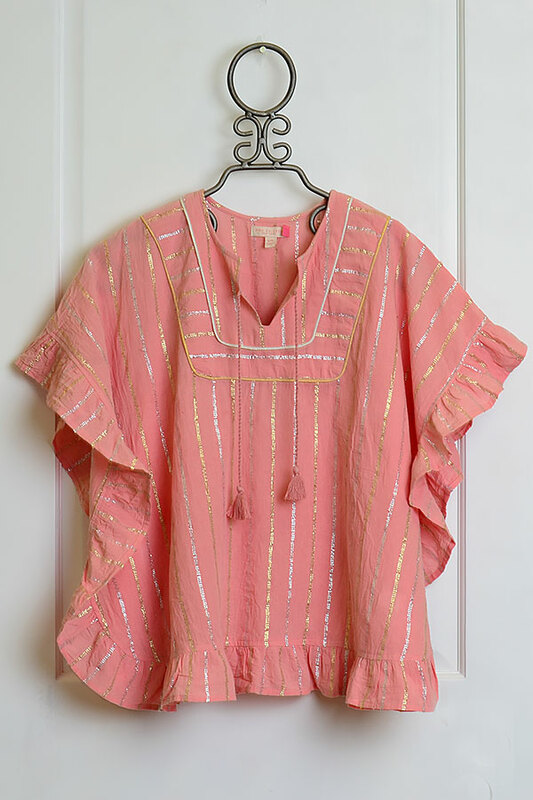 $66 - Keeping her beach casual and oh so cute, this girls swim cover up is a style new from Pink Chicken. The design is cut for a poncho fit. The edge is completed with a wide ruffle. The slit neckline has a lace up tie that is completed with tassels. Metallic gold threads pop out from the dusty pink like the rays of sunshine from behind a cloud. The lightweight fabric is comfortable in the heat and is easy to pull on and take off as she pleases.